the ones who caught the balls while holding babies made me anxiety. what if the the balls slipped out of their hands and hit the babies? 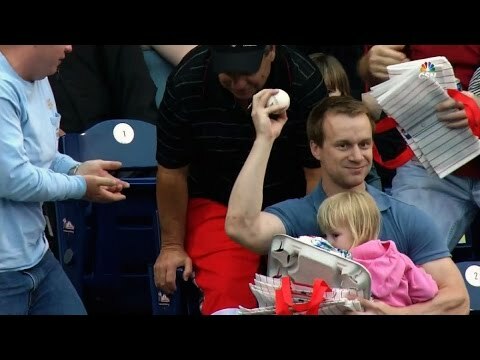 "Nice one handed catch…hangs on to the baby."